As stated in my previous posts, I’ve jumped on the natural products bandwagon and decided to look after my skin without the use of nasty chemicals. You may know that I am a psoriasis sufferer, which is an autoimmune skin disorder, very similar to eczema in appearance. So it especially important that I use gentle products on my skin. After browsing the internet for natural products to use for my skin as well as something safe and natural to help my insomnia. I came across Pure Aromatherapy which was founded by Holistic Therapist, Kathryn Anne. Her company, which is based in Kings Cliffe in Peterborough sell all things aromatherapy, from creams, reed diffusers to oils and gift sets. I read the testimonials on the website and was pretty sure on trying Pure Aromatherapy products after reading the great reviews. Great thing about Pure Aromatherapy is the communication and wonderful customer service skills from Kathryn Anne, I contacted her through the website and asked if she could recommend any products for people with psoriasis and anything I could use to help ease my insomnia… I had a reply almost instantly with wonderful tips and details of the products she thought would help. So if you’re not sure what products to purchase, just drop her an email or contact her on Facebook page and I’m certain she will do her best to help you. Anyway, after deciding on the products I was going to try, a day or two later I received a parcel from the lovely Kathryn Anne. I was super impressed how fast delivery was. In my parcel were four items, they were: Luxurious Face Cream, Nourishing Hand Cream, Luxurious Body Lotion and lastly, Lavender Essential Oil. I’ve been trying these products for over a month now, I would have posted my review sooner but I’ve had a run of bad luck these last few weeks. First my laptop broke then after waiting two weeks for it to be sent back to me, repaired, my broadband connection decides to have some technical difficulties in my street. Talk about coincidental. So I’ve only just been able to write. Although, the little run of bad luck has annoyed me so much, it has certainly gave me enough time to try the creams out. I will definitely be buying more when I have ran out. I can’t believe that after a month of using the creams there is still plenty left. I’m now considering trying the products I haven’t yet tried as I’m sure they will be just as good as those I have tried. 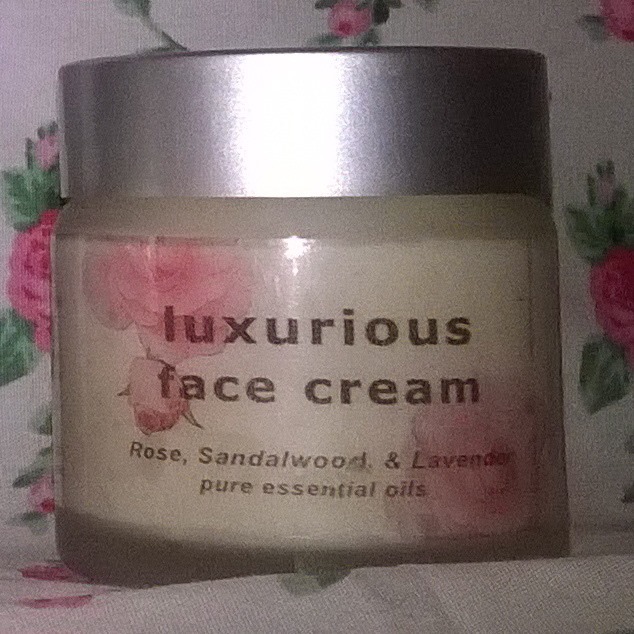 Enriched with Rose, Sandalwood and Lavender, this cream is my absolute favourite from Pure Aromatherapy. I have been using it 3 times a day because I love it so much. Morning, Evening and again at bedtime. I have even been using it together with my Braun Face Cleansing Brush which was included with an Epilator. The cream acts like a cleanser for the brush and leaves my skin super soft, hydrated and cleansed, pore deep. I would 100,000,000% recommend the Luxurious Face Cream to anybody with dry, dull skin on their face and especially those who are in need of a major moisture boost. This cream has seriously put moisture back into my face and I was pretty much hooked after the first use. Within two minutes, if that, of trying the cream on my face, I could notice the change almost instantly. I had really dry, dull skin that lacked radiance and youthfulness beforehand and first time using this cream I was so impressed. I love using this cream before I put my make-up on too as it gives me a smooth base to apply my foundation on. Before I used this cream, it was hard work spreading my foundation across my skin as it was so dry. My make-up was always left patchy which is not a pretty sight for a perfectionist like myself. Other face creams I used in the past have all had great benefits but had their downfalls too such as, taking too long to dry, leaving my skin greasy or making my foundation behave like tinted moisturiser which having blemished skin is not the look I aim for. If I wanted tinted moisturiser, I would buy tinted moisturiser, ha ha. I prefer the full coverage and the Luxurious Face Cream enables me to have just that. It dries very quickly, soaks into the skin and instead of having shiny, greasy skin which make-up easily slides off after applied, I’m left with matte skin that is deeply moisturised and makeup products stay put. My makeup also glides on smoothly and appears much more natural. The Luxurious Face Cream acts like a primer for my make-up. There is a competition running over on my Facebook page. One lucky lady will win herself The Luxurious Face Cream. My mum and I were talking the other day and I mentioned how my hands appeared much older than hers, (She is 51 years old, I’m 28). It’s true… Even my boyfriend has better looking hands than I do and he works in woodwork construction as a Carpenter and Joiner. His hands are covered in scars and its obvious his occupation consists of manual handwork. But somehow, my hands looked like I had worked my hands solid since the day I was born. My hands looked as if I was a grandmother, no lie. My skin was so dry and wrinkly, my nails were so weak and brittle and the overall appearance of my hands were not as attractive as I’d hoped they would be. I don’t know if having psoriasis is the reason my hands looked so unhappy or if it’s just one of those things. Until now, I had never in my life cared for my hands which, lets face it, this is probably the main reason my hands looked older than myself. I had never used hand cream either, quite shocking to say I’m beauty product mad. I’ve always thought hand creams never worked as well as the adverts said they did and didn’t understand the big hype about them. I also think being cursed with a skin disorder and having psoriasis mainly on my hands for like 20 years has made me a bit apprehensive about putting creams on my delicate skin. Especially fragrant creams (creams that have a nice smell). But, after educating my self about essential oils and eventually realising that not all creams that smell nice only smell that way because of fragrant chemicals. I’ve happily discovered that beautiful scented creams that have essential oils included, infuses the fragrance from natural plants and fruits rather than being a nasty chemical additive that most products include. Infused is good enough for me. So, I decided to try a hand cream out for once in my life. 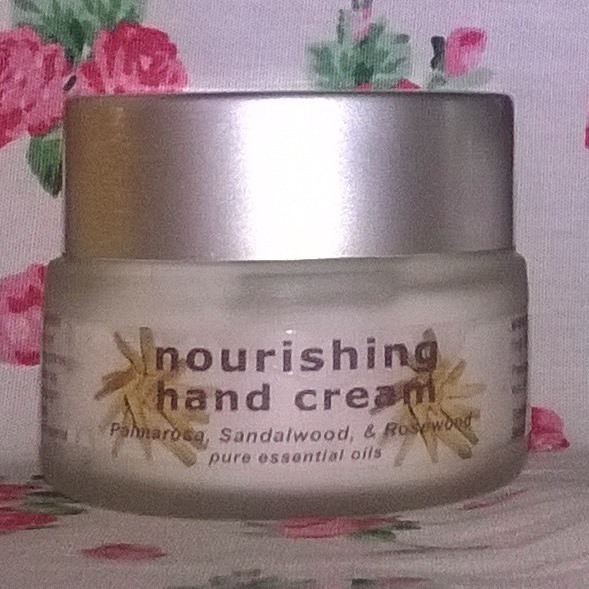 The Nourishing Hand Cream from Pure Aromatherapy is enriched with Jasmine and Rose pure essential oils and smells absolutely amazing – like all creams do from Pure Aromatherapy. Using the Luxurious Hand Cream on my hands has definitely got me on board caring for my hands. First time using this cream I was really happy and a little amazed if I’m honest with the end results. I applied a little to my palms and spread over my entire hands. After leaving to dry for around five minutes my hands appeared much younger looking and softer in appearance as well as softer to touch. My knuckles, which are unfortunately covered in psoriasis plaques appear much lighter in appearance and don’t look so rough and dry as they did. I’ve never had soft hands in my life, as far as I can remember, so it feels very weird having silky smooth hands, ha ha. Obviously the psoriasis on my knuckles are still there but unlike before they are not as aggravated looking or red and scaly, instead they are paler in appearance and actually look like they are about to clear up. I’m going to continue using this hand cream and I’m hoping that it will eventually make my knuckle psoriasis disappear until my next flare up. Which will no doubt happen in the future. I will keep you all updated on my progress. So, overall thought about the Nourishing Hand Cream is just one massive thumbs up. I love how softer my hands appear and it has definitely give me the incentive to take good care of my hands and nails. ! I’m finally a lady who takes care of her hands. Woohoo! Big thanks to Kathryn Anne at Pure Aromatherapy for changing my mind about hand cream. I guess they do work, afterall. So, this is another product from Pure Aromatherapy that has made it into my daily beauty regime. Do you want to try the Nourishing Hand Cream for yourself? It is now only £7.75 to buy! First of all I am going to tell you all about the scent of the Luxurious Body Lotion as it was without a doubt the first thing I noticed about this cream. Orange essential oil is an absolute dream. One of my favourite scents ever!. lose your eyes and imagine sitting in a room with millions of freshly sliced oranges’ and this is how the Luxurious Body Lotion smells to me. Forget the smell of orange cordial, this orangey scent smells like real oranges’ and I absolutely love it. Every time I put the lotion onto my skin my nose is firmly pressed to my skin just taking in the scent. It’s beautiful. The Luxurious Body Lotion is also enriched with other essential oils, Jasmine and Sandalwood but my nose definitely picks up the Orange essential oil first. I’ll be completely honest, I was a little wary trying this lotion because when I was training to be a Chef a few years back, my tutor told me that citrus fruits’ irritate psoriasis skin causing an allergic reaction so if I handled any citrus fruit I was advised to wear gloves. I’m not sure if it is the actual fruit alone or anything to do with the fruit. So, for a few days I tried the lotion on one arm to see if I had any type of reaction. Thank God, I never, but I thought I’d rather be safe than sorry. After the three day trial on one arm, I went ahead and used the lotion all over my body. For the past four weeks, I’ve been using The Luxurious Body Lotion after my nighttime bath. In the past I have used Johnson’s Baby Lotion to moisture my ski, but I hate how long it takes to dry. With the Luxurious Body Lotion I’m able to get dressed quickly as itsoaks into my skin so quickly. 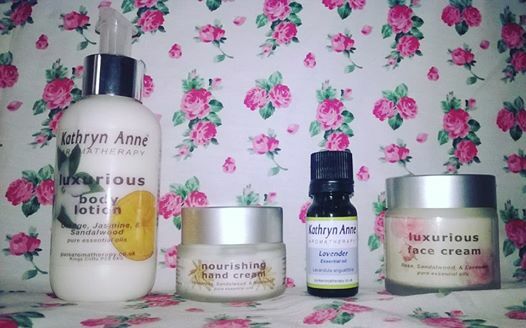 I really love using the lotion before bedtime, as the scent of the lotion is so relaxing and calming and makesit me feel clean and refreshed.. My skin is also much softer than it was before and the psorias prone areas of my body, for example, my elbows, knees and ankles, have greatly improved. With continued us of the lotion I’m hoping my psoriasis will stay as calm as it is now. The fragrance of the lotion is still there the next morning. It really does smell amazing. Lots of friends have commented about the scent saying that I smell lovely. Almost good enough to eat! All of the creams I have tried from Pure Aromatherapy’s Luxurious & Nourishing Collections have certainly had extra benefits too, as well as keeping my skin silky soft the uplifting aroma’s they have definitely made me much more relaxed and chilled. They are wonderful creams that help to relieve stress and ease anxiety too. If you would like to buy some Luxurious Body Lotion – now only £14.50 – click here to shop on the Pure Aromatherapy website. All links to Pure Aromatherapy’s website and social media pages are below! 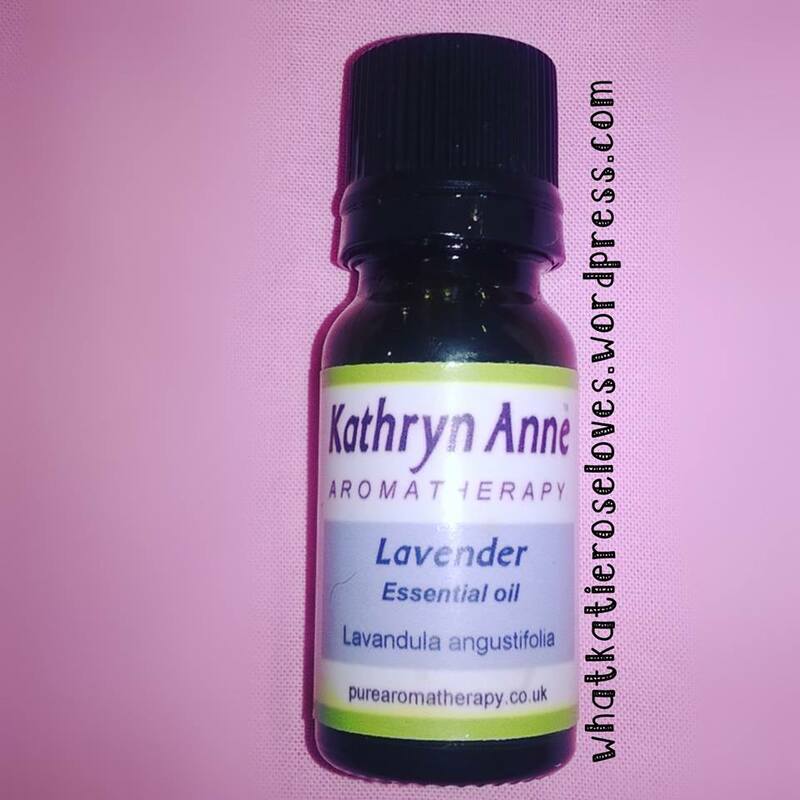 Don’t worry, I haven’t forgotten to write about the Lavender Essential Oil… As mentioned above, I was also sent some fabulous Lavender essential oil from Pure Aromatherapy to help my insomnia but the review was long enough to be its own post, so that is what I have done. If you suffer with sleep problems like myself, make sure to read my Lavender review post in the near future for some really great tips to get a great nights sleep.. l’ll be including my thoughts on sleep hypnosis and white noise too. Keep a look out for my Insomnia and Lavender Essential Oil Review. If you any comments, questions or tips for me then please comment below it would be lovely to hear your thoughts.